Stephen Steele joined Moore Ingram Johnson & Steele in 1987. He is the senior partner in the firm’s Family Law Department. He has served as lead trial counsel in numerous and varied matters. Steve has tried a number of complicated and emotionally charged divorce and domestic relations trials involving business valuations, tax issues, child custody and visitation, alimony, and child support. He is also experienced in franchise litigation, construction litigation, complex and lengthy violent crime, and white collar crime. 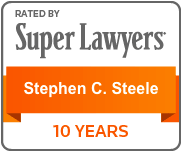 At present, most of Steve’s work involves divorce, modification, property division, support, and custody issues. Steve was born in Charlotte, North Carolina. He grew up in Memphis, Tennessee. He is an honor graduate of Georgia Tech, earning a BS in Applied Psychology in 1973. He graduated from Emory University School of Law in 1978. He served as an Assistant Solicitor in the State Court of Cobb County from 1978 through 1980, then as Assistant District Attorney in the Cobb Judicial Circuit from 1986 until 1987. Steve taught in the Paralegal Civil Litigation program at Kennesaw State University for 25 years. 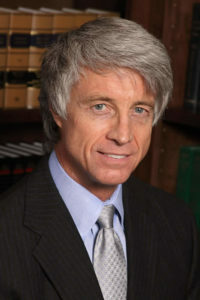 Steve served on the Executive Committee of the Family Law Section of the State Bar of Georgia from 2000 through 2007. He was Chairman of the Family Law Section of the State Bar of Georgia from 2005 until 2006. During his term as Chairman of the Family Law Section, Steve served on three of the five legislative sub-committees and advisory groups helping to implement the new Child Support Guidelines which became effective on January 1, 2007. 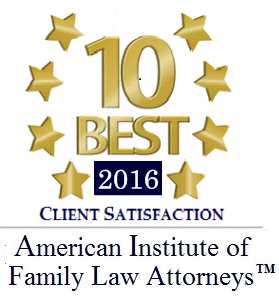 The Family Law Section was recognized as Section of the Year during his term. Steve served as President of the Charles Longstreet Weltner Family Law Inn of Court from 2010 until 2012. He has been named as a Super Lawyer by Atlanta Magazine from 2007 through the present. He was named to Georgia’s Legal Elite by Georgia Trend Magazine in 2010. 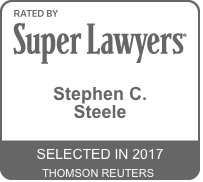 Steve is included among the Best Lawyers in America since 2014. 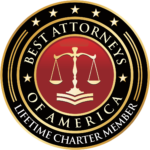 He serves on the National Advisory Board of The National Association of Family Law Attorneys. Among the seminars he has chaired are the Family Law Institute in 2005, and the 2006 statewide seminar on implementation of the new Child Support Guidelines. He is a frequent lecturer on topics related to Family Law. Steve is a Fellow of the American Academy of Matrimonial Lawyers and the International Academy of Matrimonial Lawyers. 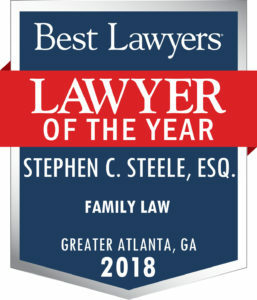 In 2018, the Family Law Section of the State Bar of Georgia awarded Steve the Joseph Tuggle Award for Professionalism in the practice of Family Law. Steve and his wife Nancy now reside in the Talley-Turner-Steele home in historic Marietta. Nancy is a Master Gardener. Steve and Nancy have two sons, Matthew and John Paul. Both are graduates of the University of Georgia. Matthew graduated from the Medical College of Georgia, thereafter completing his residence in Urology at The University of Virginia. He now practices in Athens, Georgia where he lives with his wife, Ashley, and Steve’s grandsons, Ches, Wilder, and Grady. John Paul has launched his career in acting, video and film production in the Atlanta area. In addition to his family, Steve’s outside interests include attending Georgia Tech football games and playing keyboards in a progressive rock band.